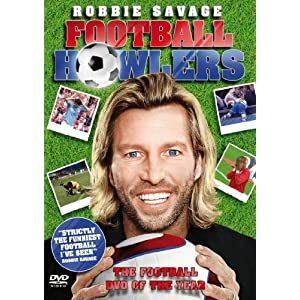 Footballer turned radio pundit – and Strictly Come Dancing star – Robbie Savage went back to one of his old haunts, round Derby way, to launch his first bloopers DVD, Football Howlers, released by Revolver. Robbie, pictured here at the signing and with Revolver’s Dan Gilson, turned up at Asda in Derby, the hometown of his last club, Derby County, where he was captain until he retired, to sign copies of the DVD. More than 400 people turned up for the signing – some queuing from 1oam ahead of the evening signing, showing the kind of pulling power Savage has, especially in the light of his Strictly appearances. He was also interviewed by ITV for its Central Tonight programme, with the broadcast drawing in some 400,000 plus viewers.